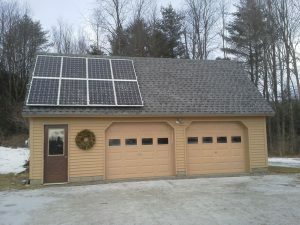 Recently, we had a small solar array installed on our garage by Bristol Electronics. access to actually see our solar production! I couldn’t ask for an easier process. And we know that our local installer is available any time we have further questions!